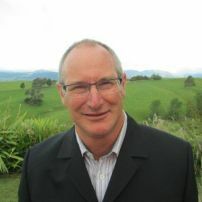 I am a professional forester specialising in providing forest consultancy services and harvesting advice to private forest owners in the Nelson and Marlborough regions. My vision is to provide the best possible advice and personal service to the many private forest owners in the Nelson and Marlborough regions who wish to maximise returns from their hard earned investment. Outside of work I enjoy cruising the winding roads on my Suzuki road bike (with my wife when the weather is fine). commented on "The year in summary ..."
commented on "Change in Government attracts international comment on proposed forest policies ..."
commented on "Kitset Houses ..."
commented on "Optimised Engineered Lumber (OEL), timber for the future? ..."